The Hathaway family lived at 208 West Pine Street on the northern ridge of Davis Bottom from the 1860s until the 1920s. The Hathaways are among the first families to settle in Davis Bottom after the Civil War. Robert Elijah Hathaway (1842-1923) was a Union Army soldier and Christian preacher. After the death of his wife, Rachel, Robert raised three children, Fannie, Eva and Isaac. Fannie was a highly respected teacher and principal. Eva served as a nurse. Isaac became a nationally recognized sculptor and professor. Figure 1: Hathaway family, ca 1890. 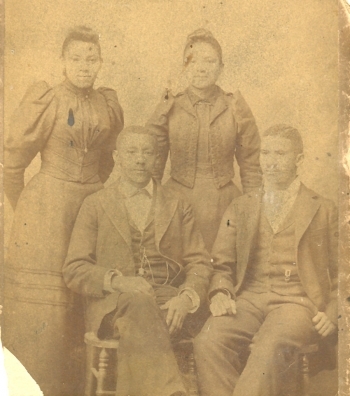 Seated, Robert Elijah Hathaway (left), Isaac Scott Hathaway (right, standing, Fannie Hathaway (left), Eva Hathaway (right). Courtesy, Mosaic Templars Cultural Center, Little Rock, AR. The documents, letters and photographs of the Hathaway family offer a valuable look into the lives of African Americans from the era of slavery, through the Civil War and Reconstruction, to the struggle for civil rights. Ms. Yvonne Giles, Director, The Isaac Scott Hathaway Museum in Lexington, Kentucky, has conducted extensive research about the Hathaway family and Isaac’s artistic career. Please click on the articles, transcripts and video clips below for more information. Interview: Yvonne Giles, Dir., Isaac Scott Hathaway Museum, Lexington, KY.
Isaac Scott Hathaway had a long, distinguished career as an artist and professor in Kentucky, Washington D.C., Arkansas, and Alabama. The following institutions have developed exhibits, catalogues, educational programs and on-line resources about Isaac Hathaway. 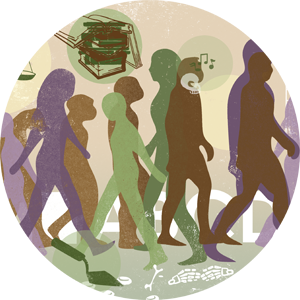 Please click on the links below for information about related archives and educational resources. Isaac Hathaway broke a racial barrier when he introduced ceramics to the all-white Auburn Polytechnical Institute (now Auburn Univesity) in the summer of 1947. In 2012, Dr. Mark Wilson, Director of Civic Learning Initiatives, College of Liberal Arts, completed an Appalachian Teaching Project to “develop innovative ways for students and the public to discover the life and work of Isaac Scott Hathaway.” Four regional institutions collaborated in the creation of a public website with biographical materials, a podcast, video, photos, pamphlet and classroom kit about Isaac Hathaway. 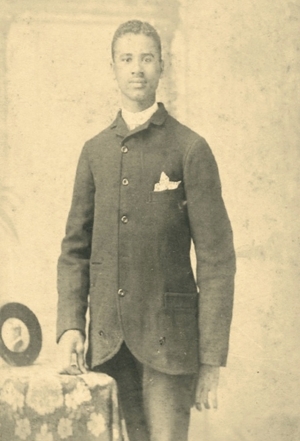 Figure 2: Isaac Scott Hathaway, ca. 1910. Courtesy, Mosaic Templars Cultural Center, Little Rock, AR. Isaac Hathaway served as the Director of Ceramics at Alabama State College (now Alabama State University) from 1947 until his retirement in 1963. The Isaac Scott Hathaway Museum has exhibits and educational programs about distinguished African American artists, writers and community leaders in Lexington, Kentucky. Ms. Yvonne Giles, Director, has compiled an extraordinary body of research about the Hathaway family, including interviews with Hathaway family descendents. The museum is open by appointment. The Moasaic Templars Cultural Center has one of the most extensive Hathaway collections, including documents, personal papers, photographs and artwork. From this collection, the center created the popular exhibit, “Capturing Greatness: The Life and Art of Isaac Scott Hathaway.” The staff also developed two educational programs: “Meet the Artist: Isaac Scott Hathaway,” (lesson plans, grades K-12), and “Exploring the Art of Isaac Hathaway (teacher workshop, all grades). Isaac Hathaway established the Ceramics Department at Tuskegee in 1937. The Tuskgee University Archives holds photographs of Isaac Hathaway teaching ceramics courses and working with busts of George Washington Carver. Henri Linton, Director, University Museum and Cultural Center, has gathered an extensive collection of Hathaway’s artwork, documents and photographs. In 1996, Linton supervised the development of an exhibit on Hathaway’s work, and a companion catalogue, Isaac Scott Hathaway, 1874-1967.